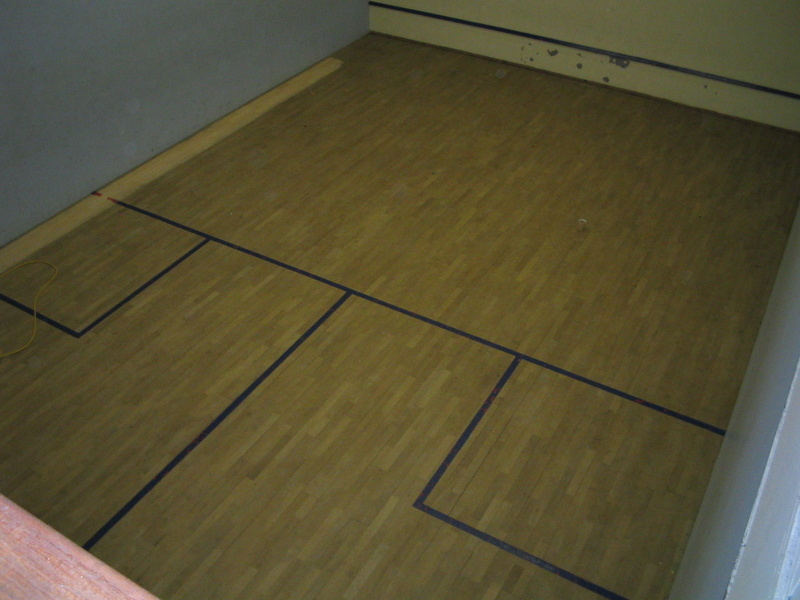 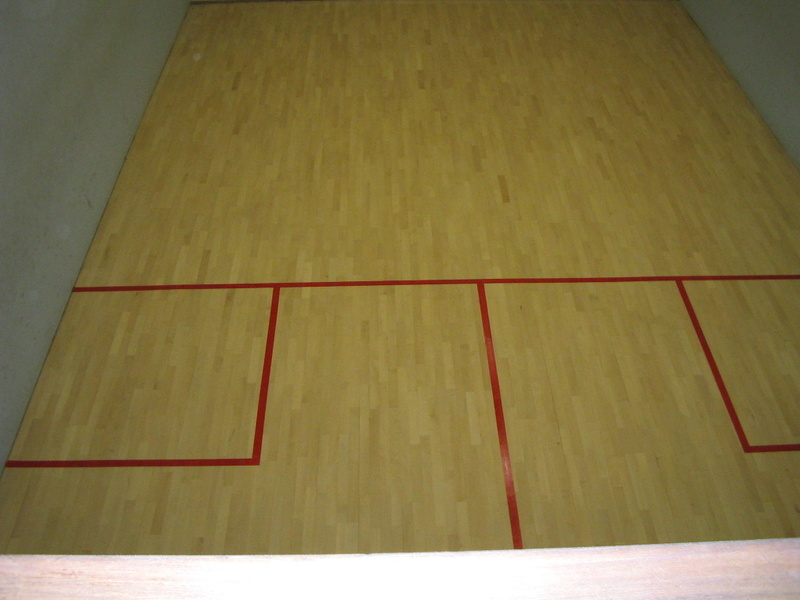 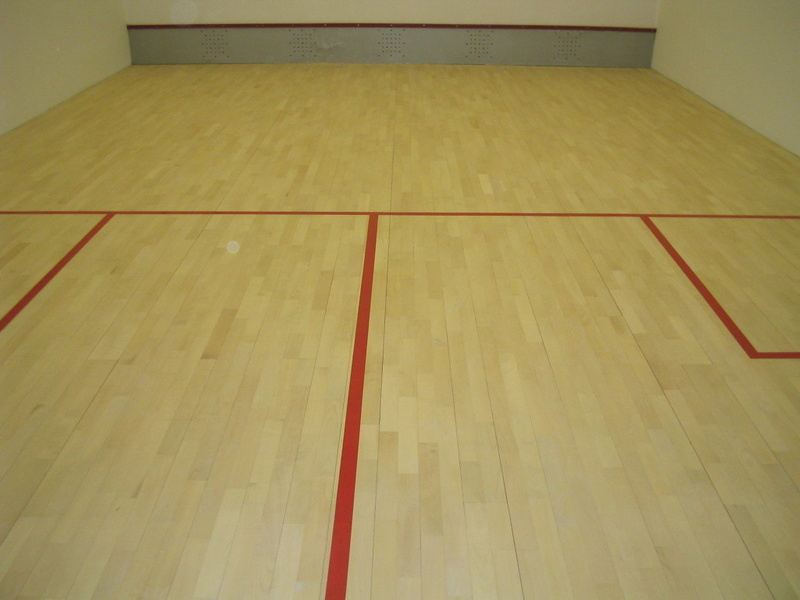 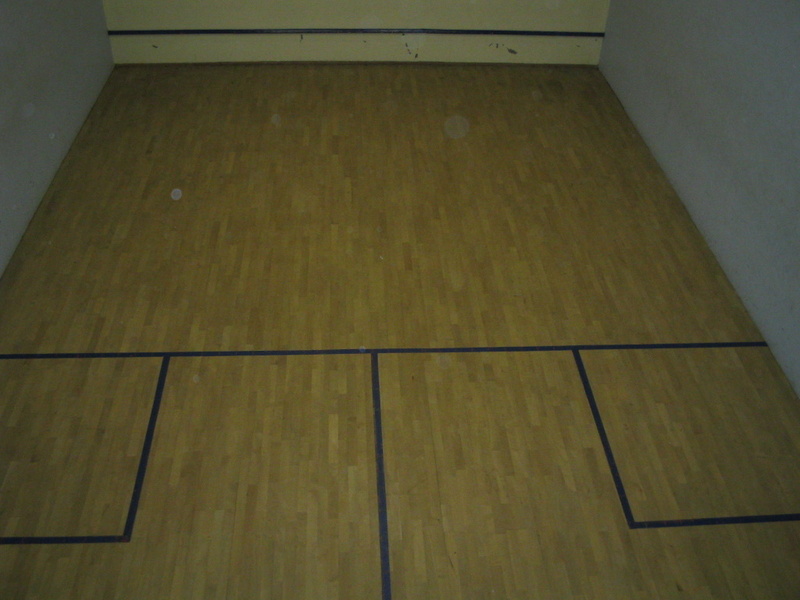 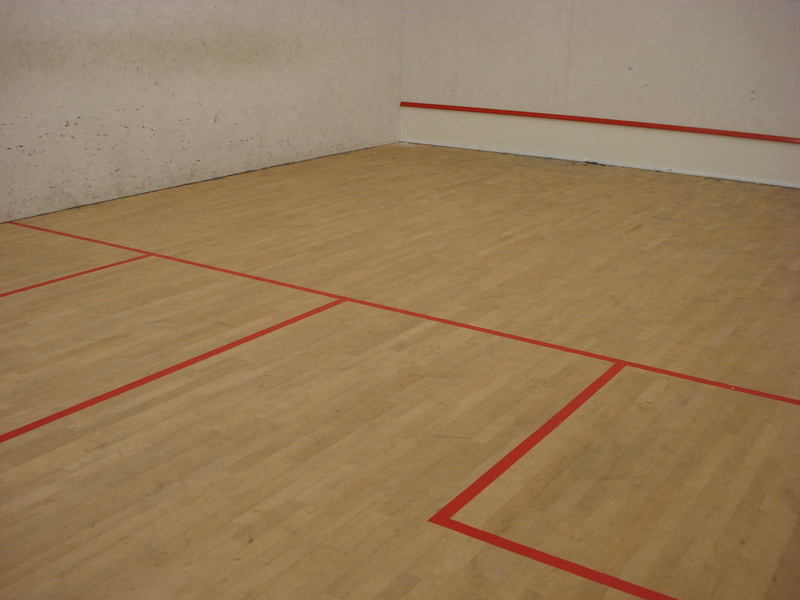 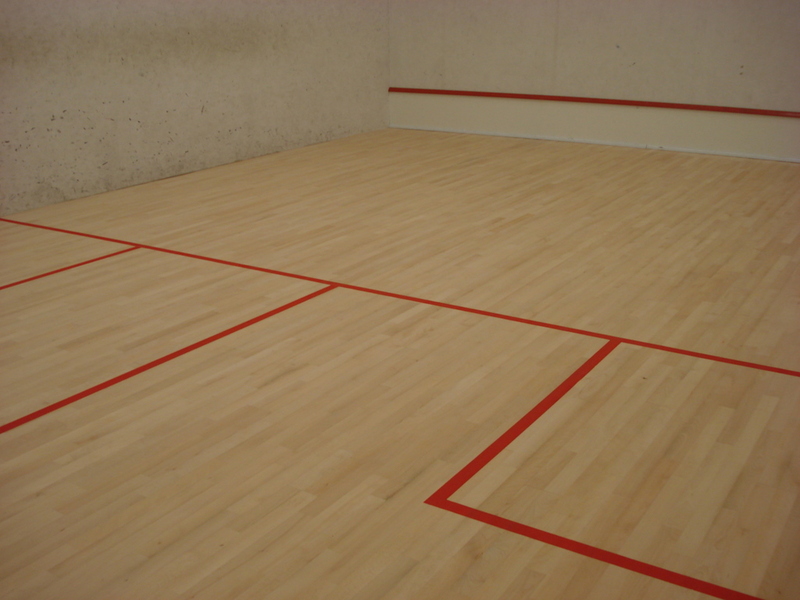 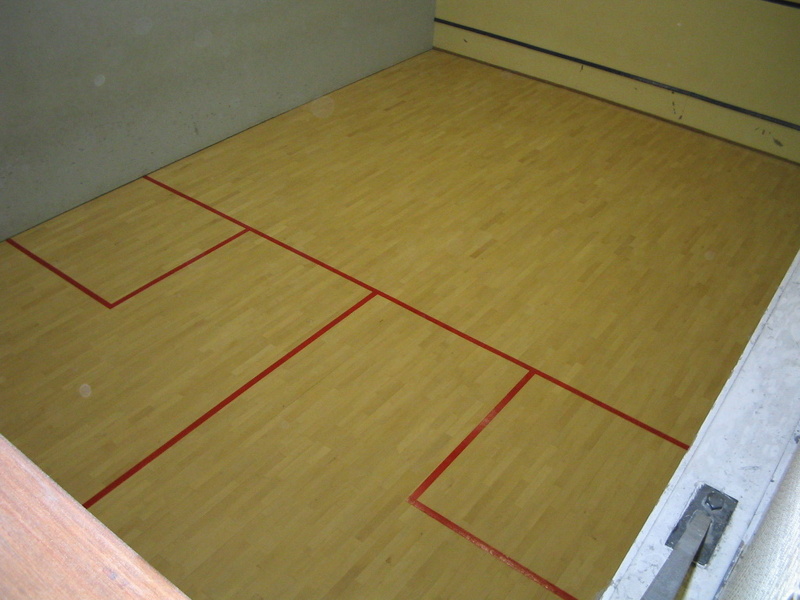 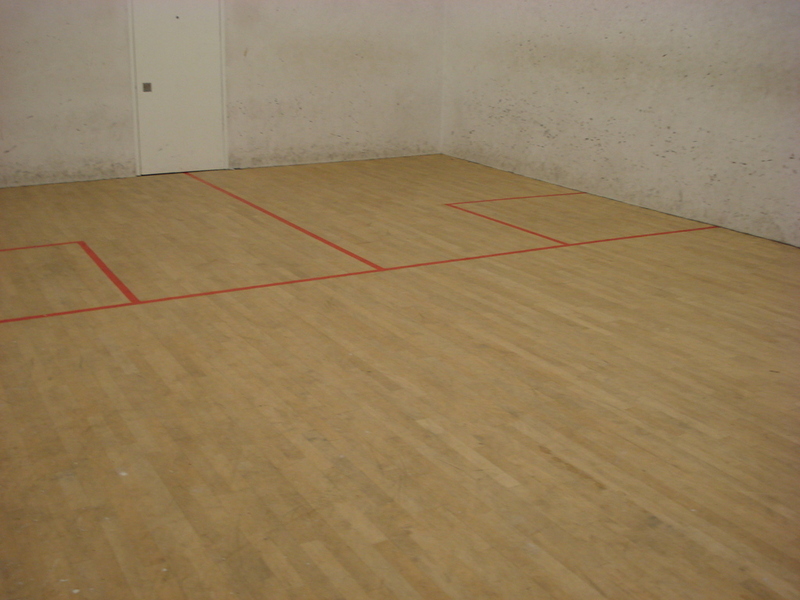 Squash court floors Supplied, Installed, Sanded and Line / Court marked. 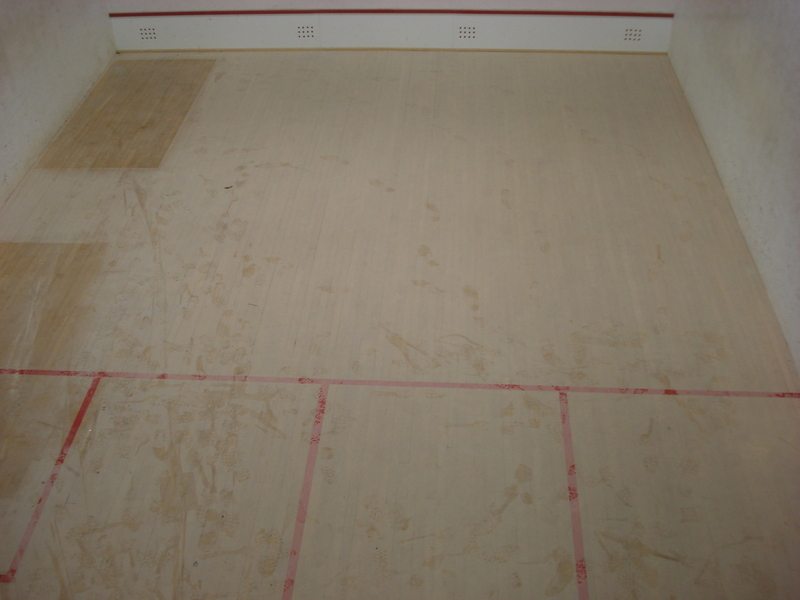 Existing squash courts Re-sanded and Line / Court marked. 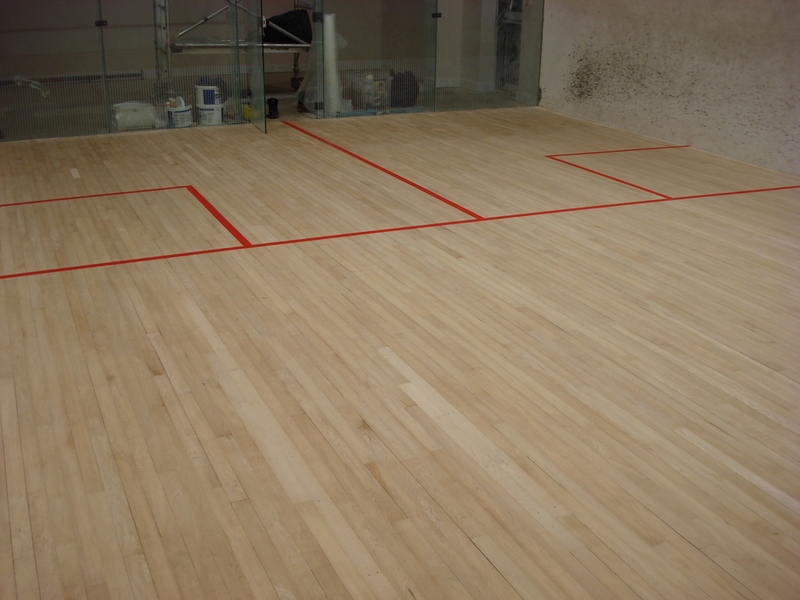 We use the latest court marking paint to ensure it lasts for as long as possible. 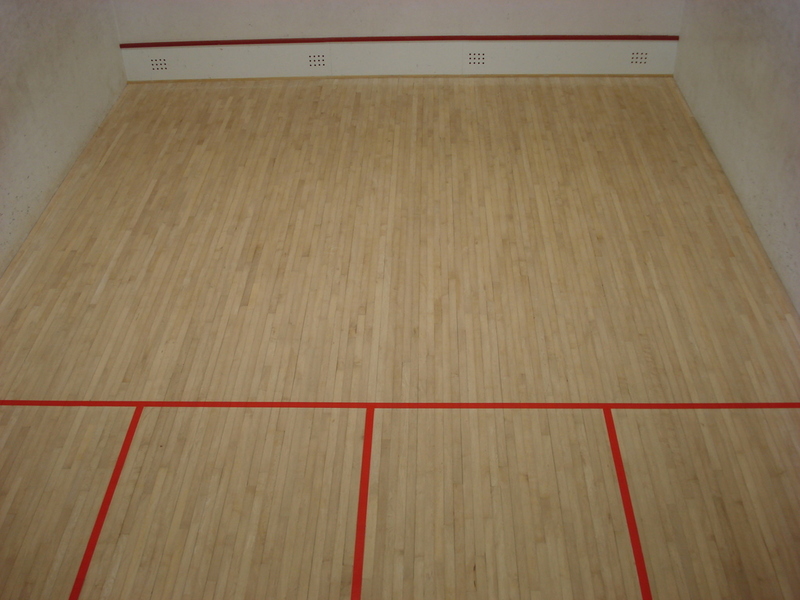 With it being a two pack epoxy resin based paint we are confident the court makings will out last any other types of paints on the market. 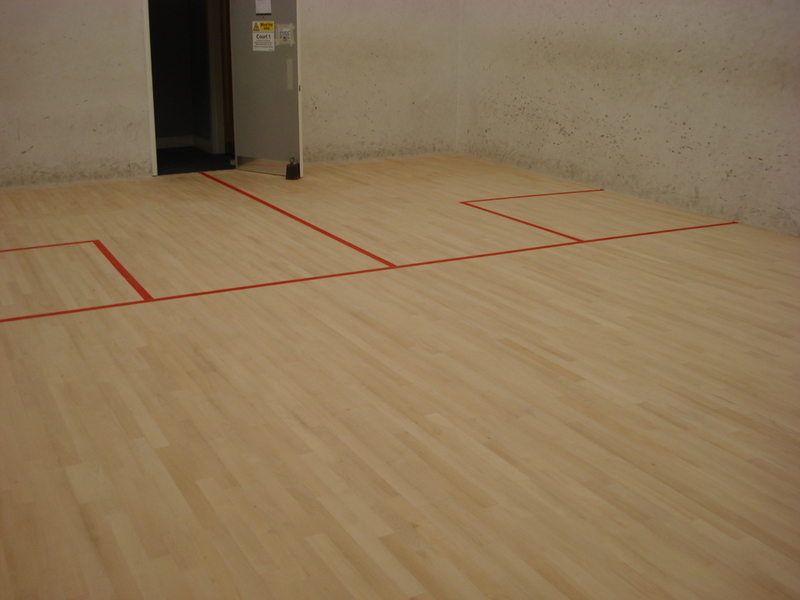 We at Floorcare will only line mark in hard wearing / long lasting paint and as a rule we do not line marking using tape. 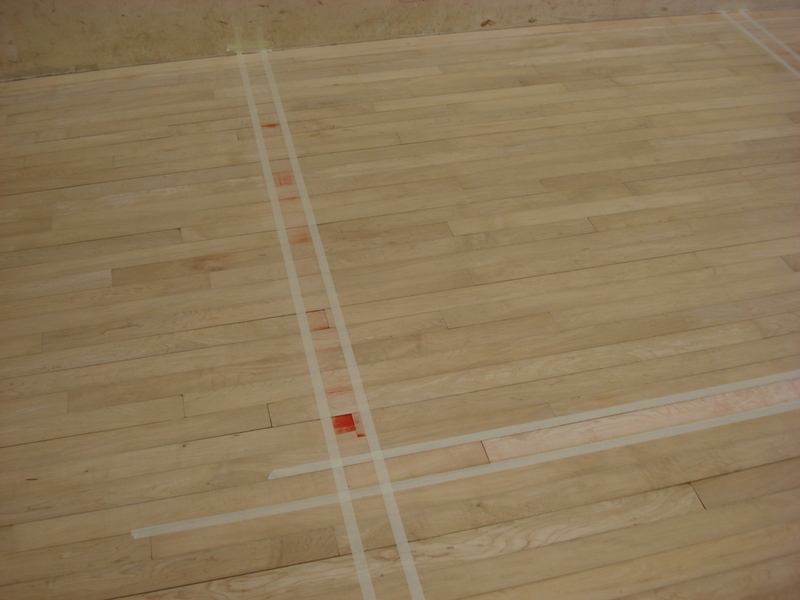 Tape will not last anywhere near as long as paint and will look old and tatty a lot sooner. 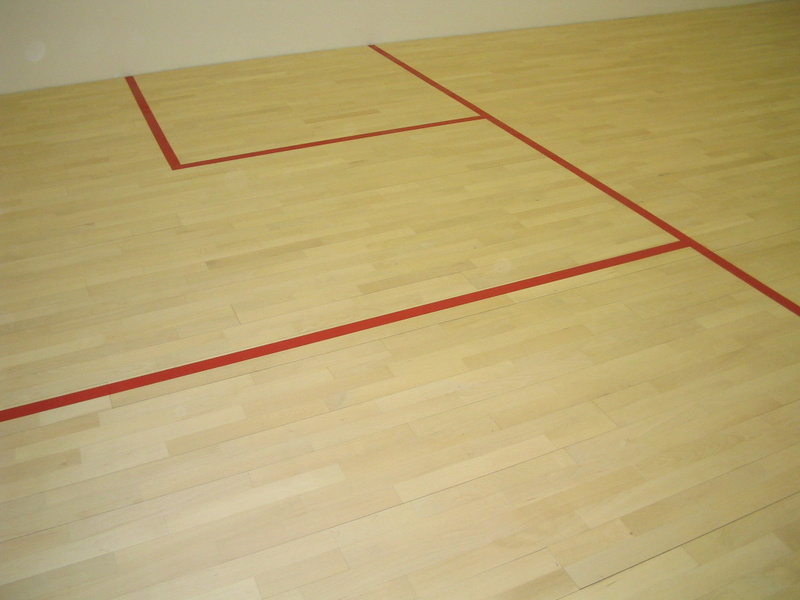 You can choose any colour you desire to have your lines painted in. 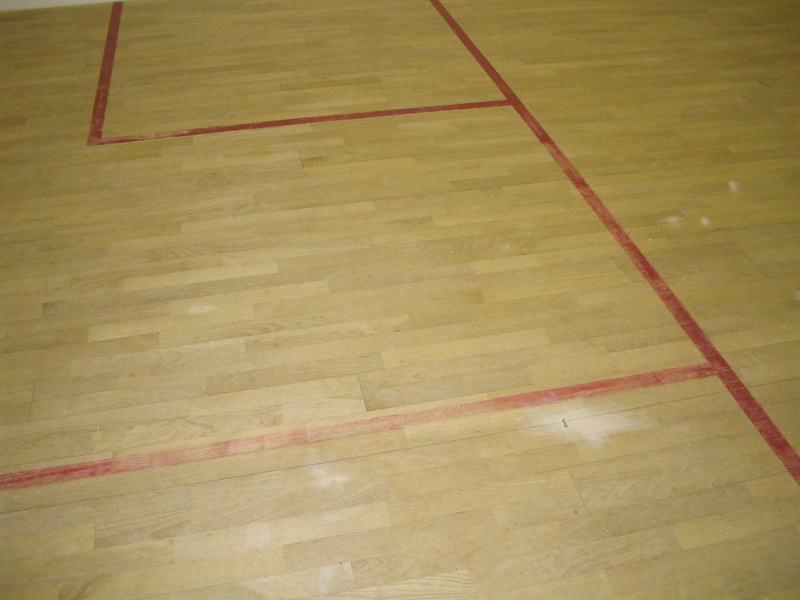 We can sand up to 2 courts per day and Line mark them reducing the time the courts are ‘out of action’ and not earning money! 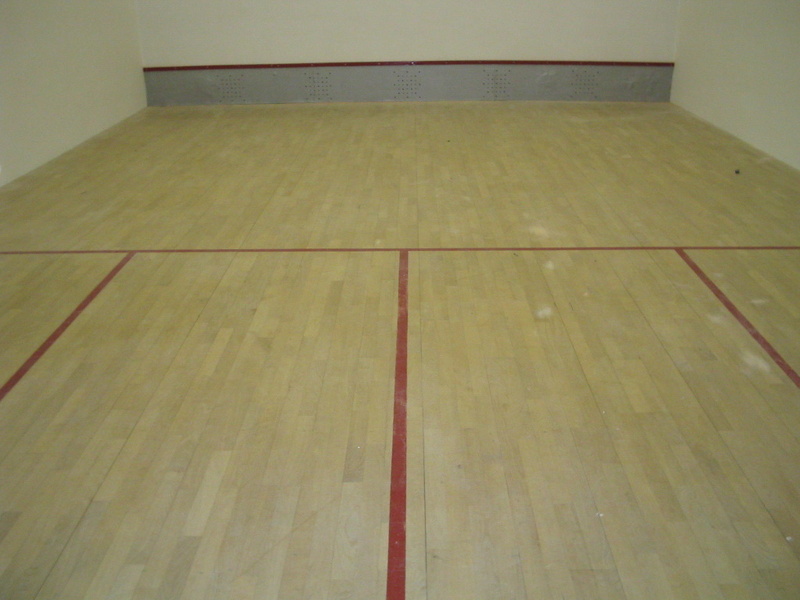 View the Squash Courts Gallery.